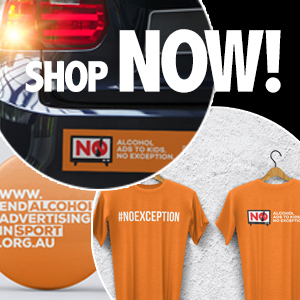 Alcohol companies love to promote the ‘Australianness’ of their products. VB ads are filled with Aussie blokes with a ‘hard-earned thirst’ while XXXX Gold ads proudly showcase the beautiful far north QLD. And it’s not just beer – Bundaberg Rum are currently celebrating ‘everything that makes Australia unique’ and Jacob’s Creek want you to discover their South Australian wine regions. People may be surprised to learn that their favourite ‘Australian’ drink of choice is far from locally owned. The alcohol industry is becoming increasingly globalised, with many of the producer groups owned and controlled from outside of Australia. It’s a different story for bottle shops. You may be buying internationally-owned brands, but chances are you’re purchasing them from a liquor store owned by Woolworths or Coles – together the supermarket chains account for over 63% of the liquor retail market share. It’s important for all those with an interest in alcohol policy to understand the nature of the industry and how alcohol companies and industry groups seek to influence governments. This includes knowing who produces, distributes and promotes the major alcohol brands in Australia, who the major players are in the liquor retailing world, and understanding the arguments alcohol groups use to influence governments and the public discussion. The Guides, first released in 2012 and expanded in 2014, have been comprehensively updated using information from sources including company websites, annual reports, industry publications and submissions to government inquiries. There have been some significant changes in the global alcohol industry since 2014. The acquisition of SABMiller by AB InBev in 2016 resulted in AB InBev becoming the world’s largest beer company, with an estimated 46% share of global beer profits and 27% share of global beer volumes. This acquisition has had substantial flow on effects to the Australian industry, with many brands moving between companies. Altria Group (parent company of tobacco giant Philip Morris USA and previous SABMiller shareholder) now has a 9.57% share in AB InBev and two seats on its Board of Directors. Some things, however, haven’t changed. The headquarters of the major alcohol companies operating in Australia are based overseas, including in Belgium, Japan and the UK. The largest Australian-owned brewery – Coopers – have less than 5% of the beer market share. Woolworths Limited continues to dominate the packaged liquor market, with almost 43% of liquor retailing market share and over half of the online liquor retailing market share in Australia. Previous versions of the Guides have been a useful resource for researchers and public health advocates, and have been used in research on alcohol advertising on social media and alcohol company tax aggressiveness. They’ve also been cited and provided as supporting documents by the media. We’ve recently discovered the Guides have also been used for far less legitimate purposes. The Drinks Association, an industry trade group, also have a “guide to the global and domestic liquor industry” which looks remarkably familiar. After being “constantly asked for information about the global and domestic drinks industry”, the group determined they “would investigate and bring together all information publicly available and build an overview report.” The version published on 20 December 2016 (which we downloaded on 6 February 2017) bore such similarities to our 2014 Guides it had to be seen to be believed. The disclaimer was copied word for word, and much of the content appears to have been lifted directly from our Guides. Amusingly and unsurprisingly, the Drinks Association chose not to include our points on which companies contribute to DrinkWise Australia. It’s understandable that alcohol companies and industry groups would also be interested in how this dynamic industry is structured. But for an alcohol industry body to blatantly copy the work of a small not-for-profit group working to reduce alcohol-related harm and pass it off as their own? Frankly, it’s embarrassing for them. 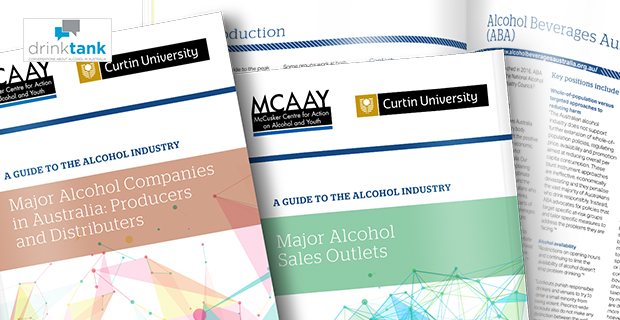 In spite of this, we have updated the three Guides and hope they will assist those with an interest in alcohol policy to address the alcohol industry’s influence on public policy in Australia. They say knowledge is power, and the more we know about the alcohol industry, the better prepared we can be to advocate for evidence-based policies to help reduce alcohol-related harm in Australia. If you want to sell alcohol to the public, you need to meet high standards. While young people today are savvier than previous generations, many haven’t considered how alcohol advertising might be influencing their own decisions.